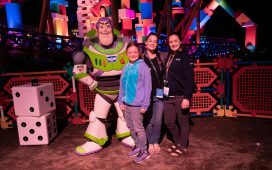 How To Take A Disney Vacation Beyond The Parks – It's a Lovely Life! We are deep into planning our summer vacation(s). We already have a couple trips planned domestically, and we have three more on our radar. 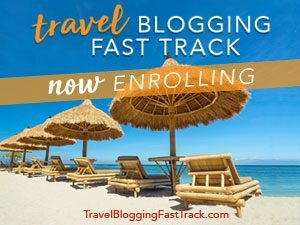 These include a cruise to Alaska, a tour in Europe and an adventure in either Australia or South/Central America, all of which were inspired by Disney and these hosted vacations we took. We love visiting the Disney Parks, in fact, we have every single one of them on our travel list. 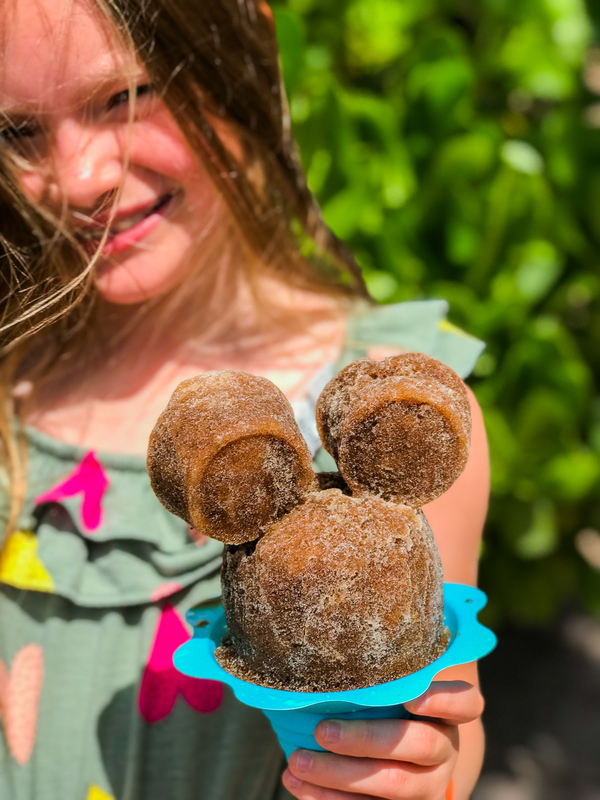 We visit Disney World and Disneyland multiple times a year and won't stop… but we also love to explore new places and doing so with some Disney magic makes it even more special. 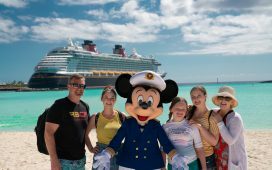 Thankfully with Disney Cruises, Adventures By Disney, and Disney Resorts, you can have the best of both worlds… all over the world! We just got back from Aulani, A Disney Resort & Spa. 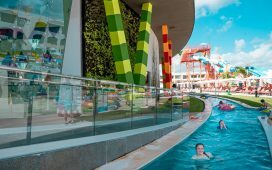 This beautiful resort is a tropical paradise with fun for the whole family. 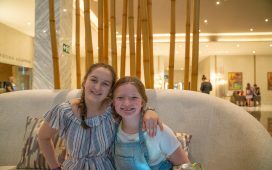 We enjoyed the spa, the lazy river, room service with an ocean view, tropical drinks, the most amazing kid's club at Aunty's House and so much more. 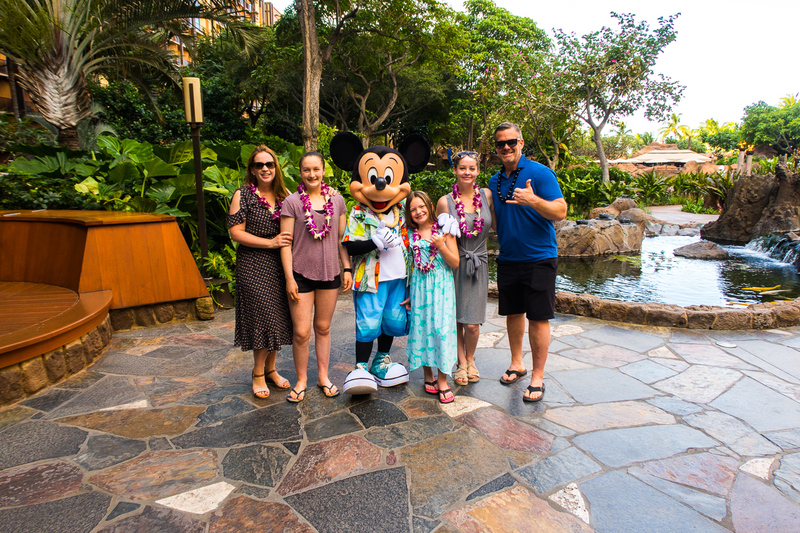 There were little touches of Disney throughout the resort so this is perfect for those looking for a Hawaiian vacation just as much as someone looking for a Disney kissed vacation. 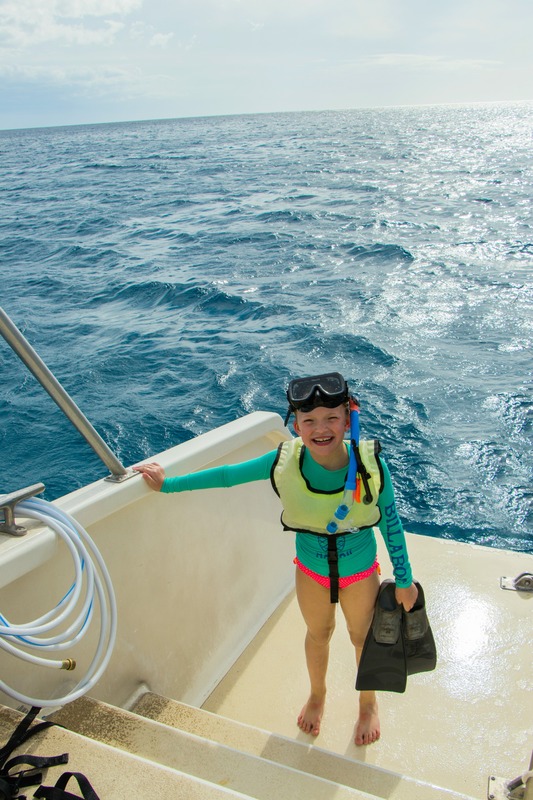 You can even snorkel in their private reef called Rainbow Reef that is stocked with over a thousand tropical fish. It is located on the island of Oahu and a quick drive from the airport, perfectly located for day trips to other areas on the island too. We absolutely loved our vacation here and they have great specials throughout the year to enhance your vacation. This really is an amazing luxury family resort and perfect for those seeking a relaxing Hawaiian family vacation. 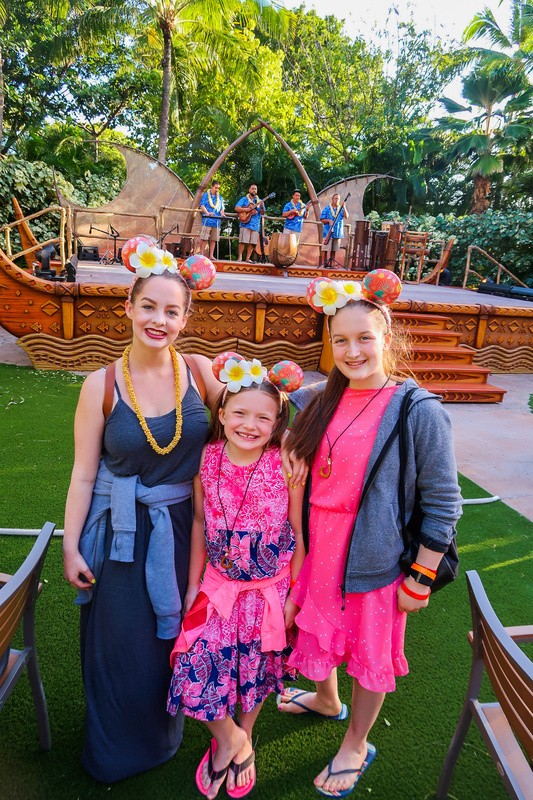 At Aulani, a Disney Vacation Club Resort, the stories of Hawai’i and its people are woven into every aspect of the experience. The beauty and majesty of Hawai’i come to life in the resort’s architecture, costumes, entertainment, interior design, artwork and native crafts. Disney storytelling is also a focus of the resort, which recently welcomed Moana, from the Walt Disney Animation Studios’ film. Moana joins the resort’s beloved Uncle and Aunty as they visit with guests and recount tales of adventure. Guests also celebrate the spirit of Moana with special activities, makeovers, and other fun-filled experiences. Our whole family loved seeing Aunty at breakfast as she sang and hosted activities with our other Disney friends. At night, Uncle told stories by the fire! We also enjoyed the all-new KA WA‘A luau! It blends sumptuous cuisine with authentic cultural experiences. Here, guests feast on a local island buffet and enjoy lively music and traditional Hawaiian dance, including hula kahiko and modern hula ‘auana. Through Disney’s signature storytelling, guests experience Hawaii’s history and its deep cultural roots in canoe exploration. Before the luau, guests can also enjoy special hands-on pre-show entertainment, family activities, traditional crafts and more. I shared more about our fun at the Aulani luau and also the excursion we took to go snorkeling with sea turtles! Much like at Aulani, each Disney Vacation Club resort offers unique theming woven throughout, allowing families to stay in accommodations that offer settings ranging from the African savannah to the island of Key West and beyond. Copper Creek Villas & Cabins at Disney’s Wilderness Lodge, the newest resort in the growing Disney Vacation Club portfolio, is inspired by the beauty of the Pacific Northwest, a theme that’s apparent in design elements throughout. Natural elements, such as wood and stone, as well as subtle nods to the American transcontinental railroad, help immerse guests in the story of this rustically elegant property. We love that there are so many options for every family that wants a unique experience with that Disney magic! You can see all of our videos, posts, tips, and guides for Aulani here. 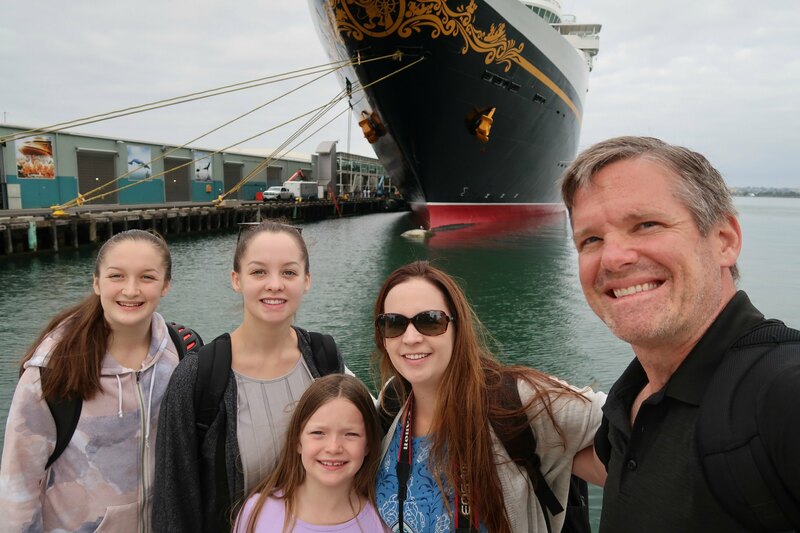 Another great Disney Vacation is aboard a Disney Cruise! Back in Septemeber, we went on our first (of hopefully many) Disney Cruises. It was a super short one and believe it or not, we flew to Disney World the day after or we would have been majorly bummed to get off the ship. 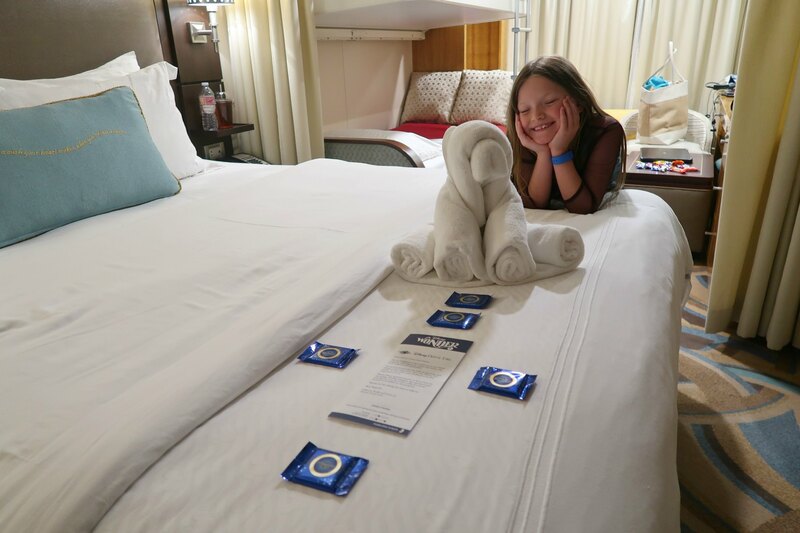 Two nights is not nearly enough to experience all that Disney Cruises offer, but it was just enough to get us excited to take more. This was also the cruise that made me move an Alaska Cruise to the tip-top of my vacation list. One day Pete and I were in the coffee shop on the ship and the captain of the ship was also there. 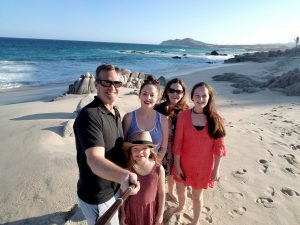 We started talking to him and he shared so much enthusiasm for helping families create amazing memories, especially on his cruises to Alaska, where they had just returned from. I told him I've always wanted to visit Alaska and he sold us on that cruise without even trying. Even Pete was totally onboard with the idea (see what I did there, ha). Really though, I also have a European Ocean Cruise, Carribean, and Canada on my list and seeing them on a Disney Cruise would be amazing because the whole experience is perfect for families. During our time on the ship, we barely saw the girls except for meals and activities that we specifically agreed to meet up for. They were off having fun the whole time. They maximized every second. Every morning we had a family meeting and went through the itinerary of all the activities and planned our time down to the last second. 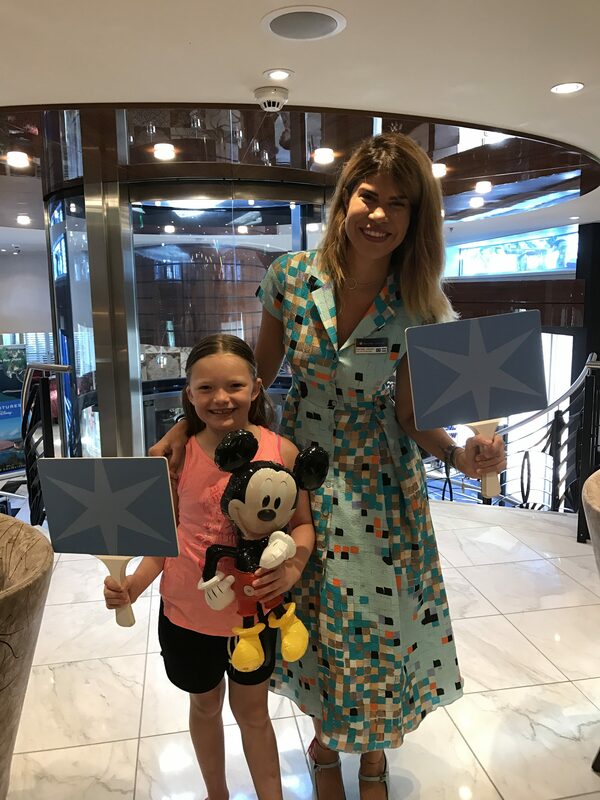 The big girls took Emmy to see every Princess on the ship at the meet and greets, in between watching a handful of movies in the theater, in between going swimming, in between having snacks, making crafts… you get the picture. Pete and I saw a movie, enjoyed coffee dates and had an adult dinner at Palo for their extraordinarily amazing food and so much more. We also were on one of the special themed cruises for Halloween so we had costume parties in addition to the fireworks and sail away events. When we got to the port, we didn't even get off the ship. None of us wanted to leave so we just stayed onboard and had more Disney fun. Oh, and I haven't even mentioned the meals. Every night we moved to a new dining room, but our same servers came with us, so they knew all of our favorites. These weren't just any dining rooms though, they were dining experiences. It was food and fun and we were so excited for meals! That was just the fun we had in two nights! At Disney Cruise Line, exciting new spaces, including an immersive restaurant concept, are coming to the Disney Magic in March 2018. At Rapunzel’s Royal Table, families will delight in an all-new dining experience inspired by the beloved story of Disney’s “Tangled.” The first table service restaurant themed to “Tangled” that features characters and live entertainment will transport Disney Magic guests to the kingdom of Corona for an evening of music and interactive fun featuring Rapunzel and the mischievous Snuggly Duckling Thugs. The family fun is complete with themed menus, special activities and a lively parade to cap off the evening in Corona. Rapunzel’s Royal Table joins a wide array of world-class themed dining options aboard our Disney ships. 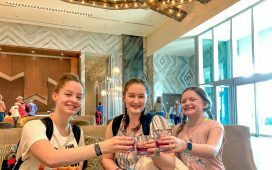 Also coming to the Disney Magic is a newly enhanced Vibe lounge for teens, and new touches of tropical style to the popular Cove Café bar for adults. 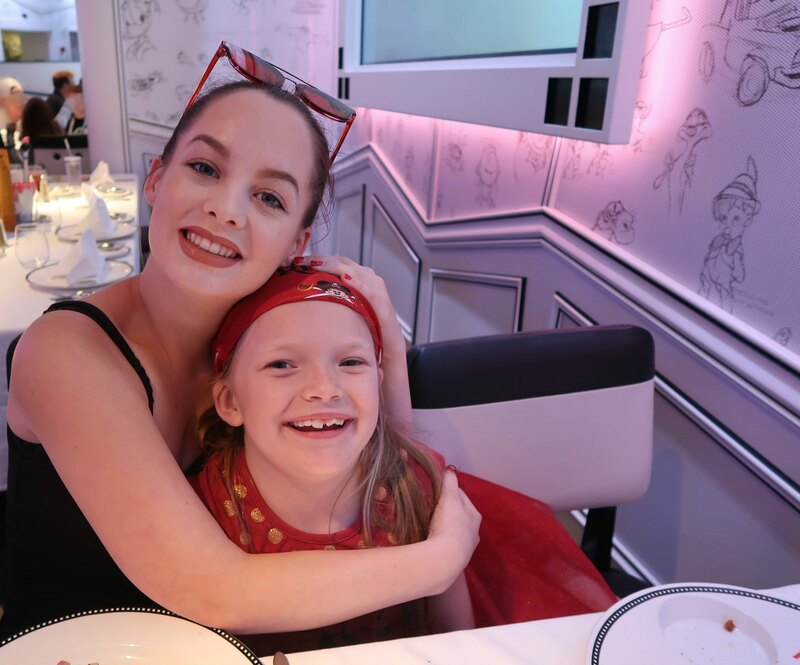 On the Disney Dream, guests are getting swept up in a tale as old as time with “Beauty and the Beast,” a brand-new musical production inspired by Disney’s live-action adaptation of the animated classic. The show brings the timeless fable to life like never before, featuring a style of theater that interlaces classic storytelling elements with cutting-edge technology, to create a unique, theatrical experience in the 1,340-seat Walt Disney Theatre. With all these new additions being added… it just makes us all more excited for our next Disney Cruise! 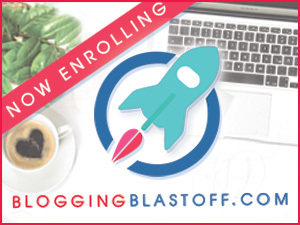 Looking for the ultimate family adventure? Look no further than an Adventures By Disney family vacation! Last summer we took an out of this world vacation together to Europe with Adventures By Disney. This is a vacation none of us will ever forget. I remember telling the girls about it and being completely excited and also completely unaware of just how awesome this was going to be. 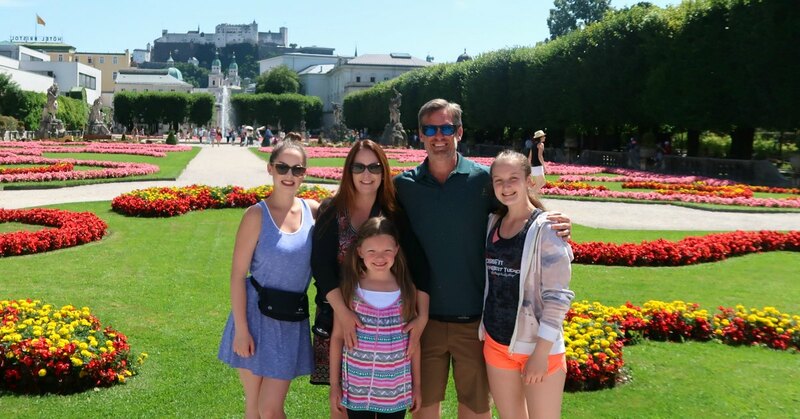 I took a tour in Europe when I was in high school, and I loved it… but it didn't even come close to touching the level of luxury family vacation that Adventures By Disney gave us. We flew into Budapest (a new favorite city of ours) and the moment we touched down, Disney took care of the rest. Actually, our plane tickets were booked with our adventure, so they took care of everything even before that! 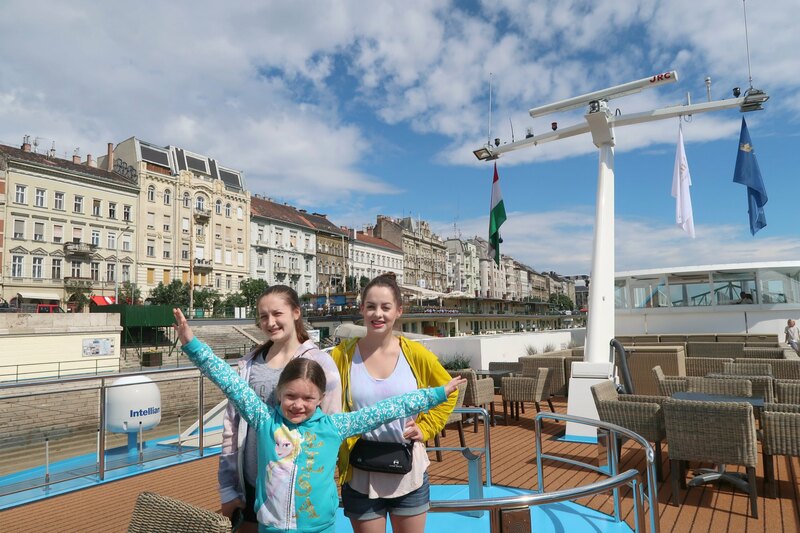 As soon as we set foot on our ship for our Adventures By Disney Danube River Cruise, we knew this was unlike any other adventure we had ever been on. ABD arranged beautiful accommodations, perfect meals (even with our dietary restrictions), and amazing tours for the vacation of a lifetime! In each city we visited, we had our Adventure By Disney guides that were there from the beginning to the end and also a local expert to show us around. They were a wealth of information and just wonderful people. Having someone that knows the area was invaluable. For so many, visiting new places where they don't necessarily speak the same language can be daunting, especially if you have any situations arise, like forgetting your passport on the ship (that really happened to guests we cruised with) and the guides jumped in and solved the issue swiftly and with no stress, saving the other guests vacation. There was nothing they didn't have a suggestion for! I can't even imagine how many hours, days and weeks it would take to attempt to put together this type of adventure on our own. 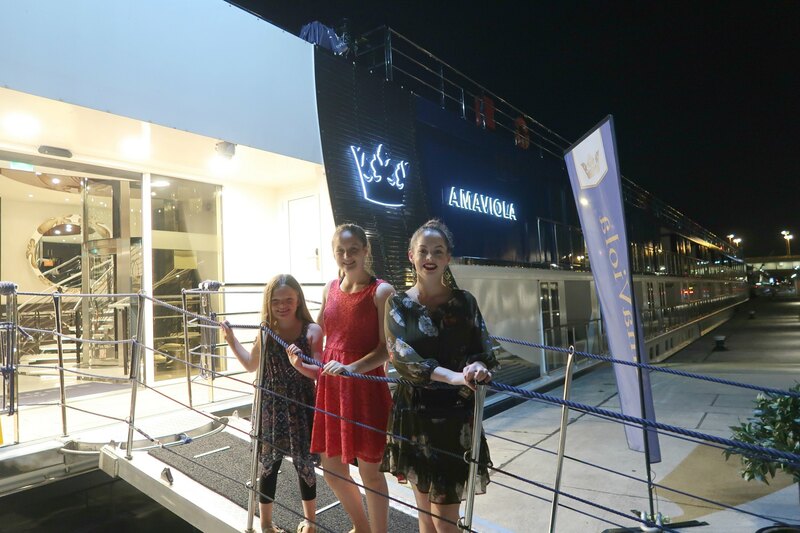 Actually, it would be impossible because they also arranged for us to visit closed off areas, found the best places to eat when we were off the ship and helped even the youngest guests have their dream vacation with movie parties, science experiment labs, and ice cream socials! I could gush about this vacation for hours! There was also time written into the itinerary for us to explore on our own and we had the flexibility to choose between different options. 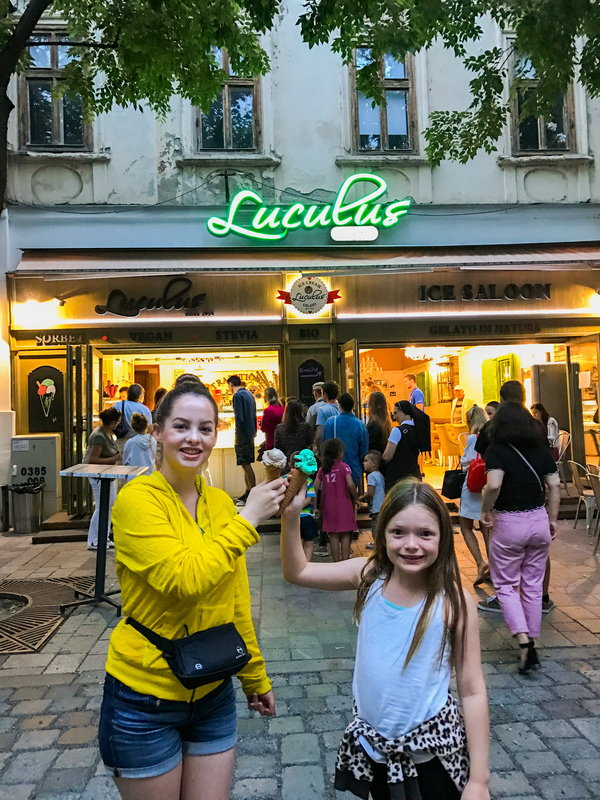 When we were in Vienna, instead of going on either planned excursion, we asked for help planning our own walking tour and we explored the whole city. Adventures By Disney has the best of both worlds, completely structured or however you want it. Another important feature was that there was just a sprinkling of Disney. There were no Mickey sightings, except for a stuffed Mickey a couple children had and some Mickey-shaped treats… but the Disney magic was strong. It is seen in the guides and in the way the whole vacation was simply perfect with everything being top quality. We just showed up and the rest was handled. In between everything that was jam-packed into our adventure, we still felt it was super relaxing like a good vacation is. We would head to the top of the ship and watch the castles as we floated by. It was magical… I just keep going back to that word because the whole experience was fantastic! 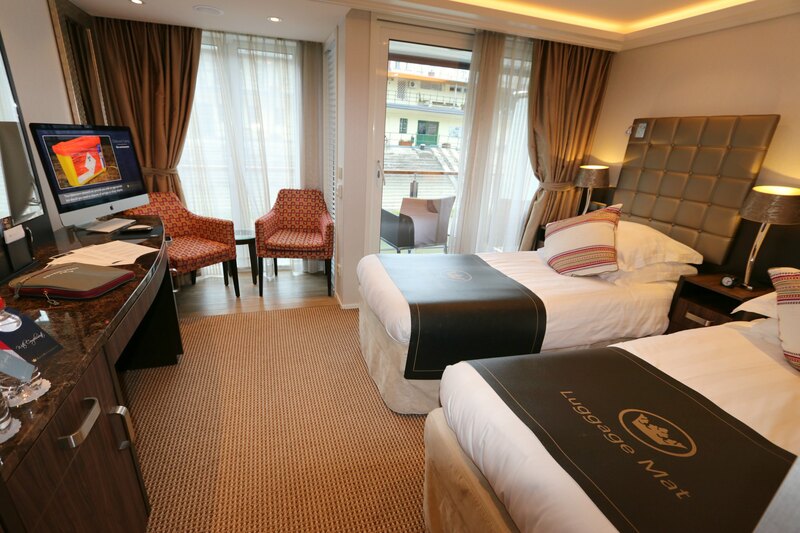 Adventures by Disney just revealed new European river cruise vacations for 2019, which will engage families in enriching local experiences and highlight regional cuisine. An all-new 10-day, 9-night Seine river cruise vacation will combine two days exploring Paris on land, followed by eight days of cruising to picturesque French destinations such as Normandy, Conflans, Vernon and more. Culinary stories are woven throughout the adventure, including a gourmet food tasting tour, regional wine and cheese sampling and hands-on macaron making demonstration. I already have these new sailings high on our list for 2019. As soon as I heard about them I called Pete to tell him because a family vacation to Paris and beyond is the thing of dreams! If you are looking for an adults only adventure, there will also be two Fall 2019 epicurean sailings held exclusively for adults, offering enhanced food and wine-themed experiences both on and off the ship. 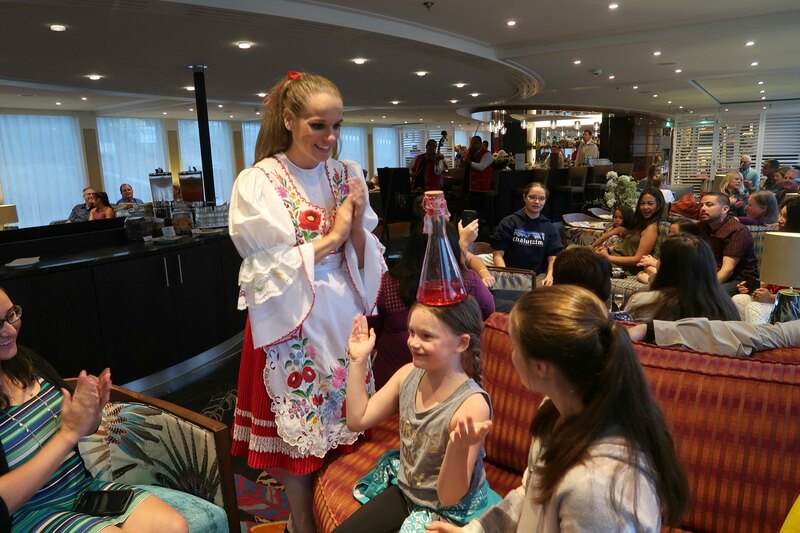 Adventures by Disney is also continuing to make magic with their popular Rhine and Danube river sailings, which allow guests to explore the heart of Europe in a way that’s active, immersive and easy. Epicurean sailings along the Rhine River in Fall 2018 and 2019 serve up extraordinary food and beverage experiences both on and off the ship. Culinary adventures also abound on adult-exclusive Oktoberfest themed sailings on the Danube River. 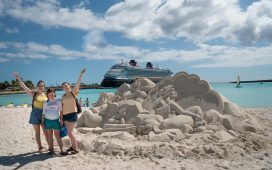 For guests looking to explore the story behind Disney stories, Adventures by Disney launched a new four-day, three-night Southern California land tour that can be booked as a stand-alone vacation, or in conjunction with 2018 Disney Cruise Line sailings departing from the port of San Diego. This guided group vacation allows travelers to revel in a behind-the-scenes look at places where Disney magic is made, including rare private tours of The Walt Disney Studios and Walt Disney Imagineering, VIP experiences at Disneyland Resort, an exclusive visit to Walt Disney’s Disneyland apartment, a sneak peek at props and costumes from beloved Disney films at the Disney Archives, and more. How amazing does that sound too? 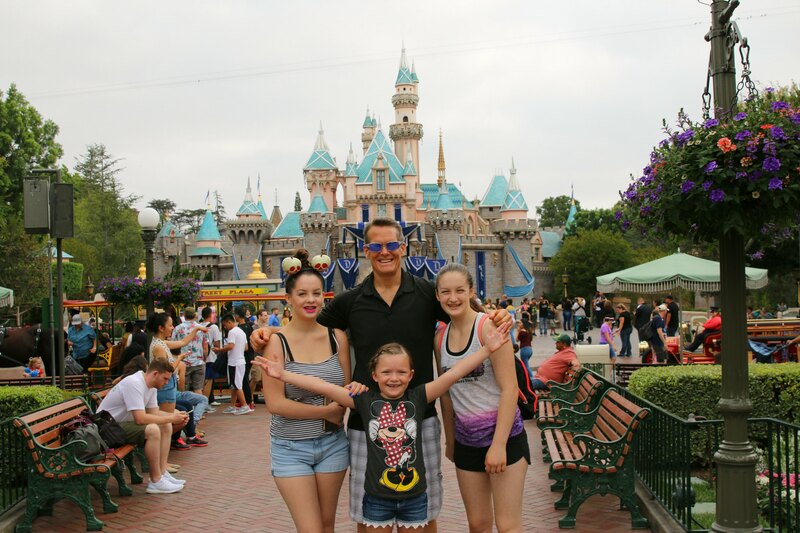 This might be the most amazing way to take a Disneyland vacation ever! This new Southern California Short Escape package joins an existing lineup of enriching Adventures by Disney Short Escapes in New York City, Barcelona, and Copenhagen. Offering cultural experiences unique to these destinations, Adventures by Disney Short Escapes allow travelers to explore iconic landmarks and hidden gems while enjoying activities designed for every member of the family. After sharing all of this, I'm even more excited for all the possibilities for future Disney Vacations. 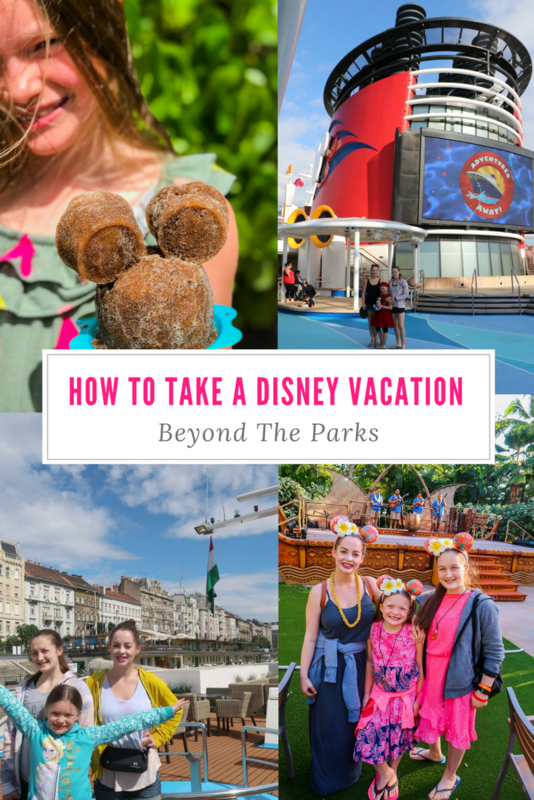 I had planned to share a list of all the Disney Vacations that are on our list, but I think it's fair to say we have them all on our list! Where do you dream of going this summer? We’re huge fans of Disney and we try to go there as much as we can! But you’re absolutely right, there are other ways to enjoy disney and that’s staying at the resorts and trying out the cruise. We love all those and it’s a great way to maximize your Disney experience. Adventures By Disney sounds so wonderful! I couldn’t imagine having a good part of our vacation pre planned so they there would be no wasted time trying to find every where you wanted to go and try to see the amazing sights they have all ready for you. wow looks like an amazing time. I would love to take my little guy on a disney trip and cruise some day. That sounds like a lot of fun for the whole family. I haven’t been to Disney in oven ten years. The cruise with the Halloween theme sounds so much fun. I need to do that. It looks like you had an amazing time! I would love to visit Disney land someday with my niece and nephews! I love that there are options out there for Disney experiences that aren’t in the parks. Hawaii looks incredible as does the Halloween themed cruise! 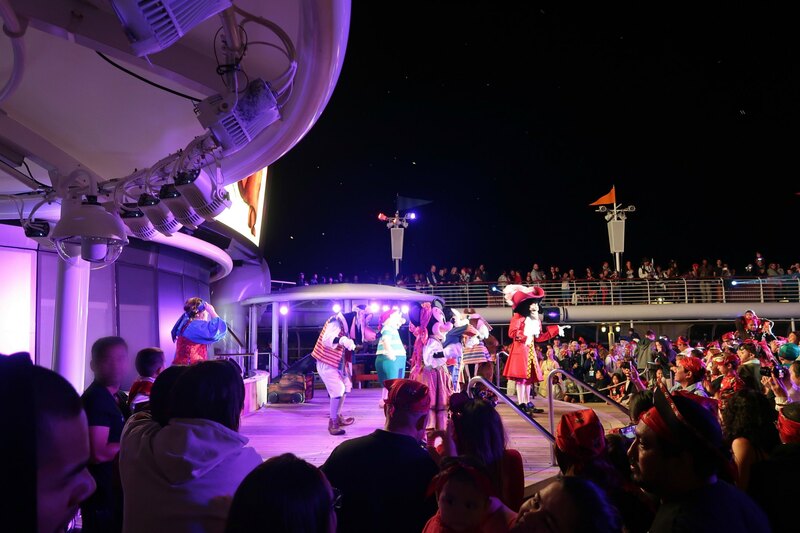 I guess I knew about the Disney Cruises, but I had no idea there were so many different events and ways to get the Disney experience. We have been wanting to try a cruise, I’m going to look into the Disney lines before my kids outgrow them. This sounds like a perfect vacation for the whole family. It seems like you all had an amazing time! I really wish that I could take my youngest to Disney. He would love it. My older kids got to go before I found out I was expecting. We are trying to figure out how to travel more too. These are such great ideas. I would love to book a cruise, my kids love anything Disney. Hawaii looks incredible and all your pictures are so perfect. I am glad you had a great time. This looks like such a great time! I’d love to go to Disney at some point 🙂 Thanks for sharing! Nice!! We’re not actually big Disney fans and we’ve never done anything beyond the parks but I have friends that would absolutely go crazy over this. This looks fantastic! I’d love to pass on this article to two of my best friends who are Disney fanatics! You have gorgeous kids, they look a lot like you. 🙂 I could look at these photos more than one minute. 🙂 they look so happy for the trip! This is so great. I’m in Disney right now, wish I would’ve read this before! 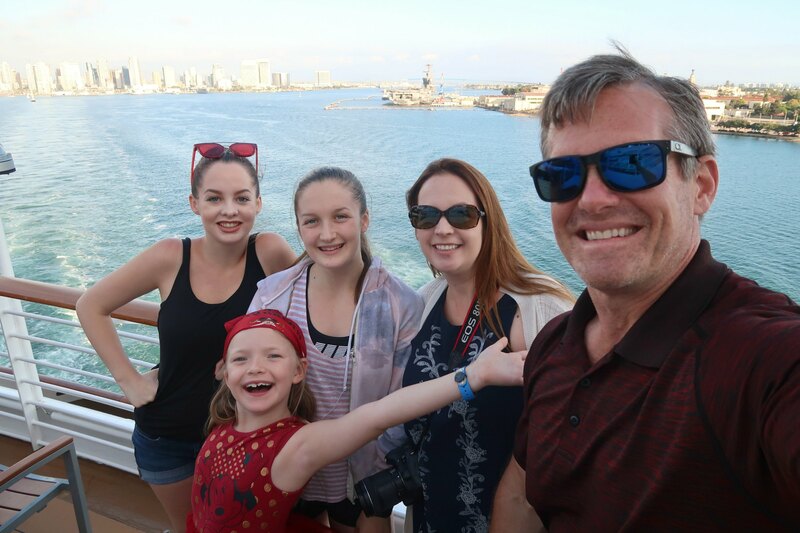 It looks like you and your family had an amazing time on the Disney cruise! Looks like there is a lot to do for both kids and adults! I’m a Disney lover, mainly for my kids. A cruise to Alaska would be an amazing experience. A Halloween cruise would suit me just fine too! I would LOVE to go on a Disney Cruise! They seem like seriously fun and exciting adventures! You have been to so many great places and so many Disney related trips I am so jealous. That trip to Hawaii sounds like an amazing experience and I have not been since my honeymoon. These are such great ideas and I so need to do some for my next Disney trip. I’m dying to go on a Disney Cruise!! This looks so much fun! My kids love Disney, maybe this will be our next family trip! This look like it was so fun! I’ve always wanted to take a trip to Disney or take a cruise, but living in Kansas, it’s just too hard to get everything booked and travel there on a budget. It’s definitely on my Bucket List though, so one day! Wow! Aulani looks AMAZING!!!!! I had no idea it existed! 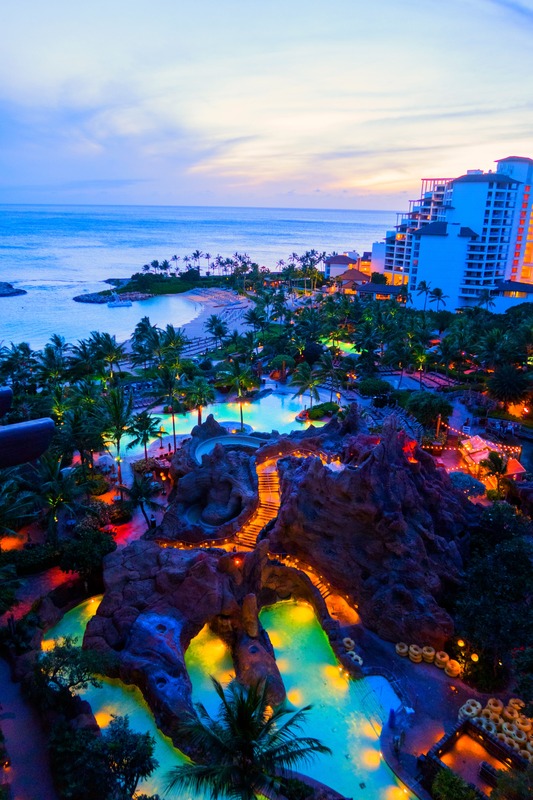 Aulani is on my bucket list – I love the magic of Disney and I’m sure in Hawaii it is truly magical. We adored the Disney Cruise when we went on it last year. My kids still talk about it! That looks like a ton of fun. I’ve never done any Disney vacationing before. This is something that my family would have a blast with. We’ve only been to the parks, but I am dying to go to Aulani! We’ve went back and forth on doing a Disney cruise, but the more I hear about them, the more I want to go on one! Looks like a fab time with your family! You can’t beat Disney when it comes to entertaining the kids! I always love seeing your family’s vacation photos and watching your girls grow up. 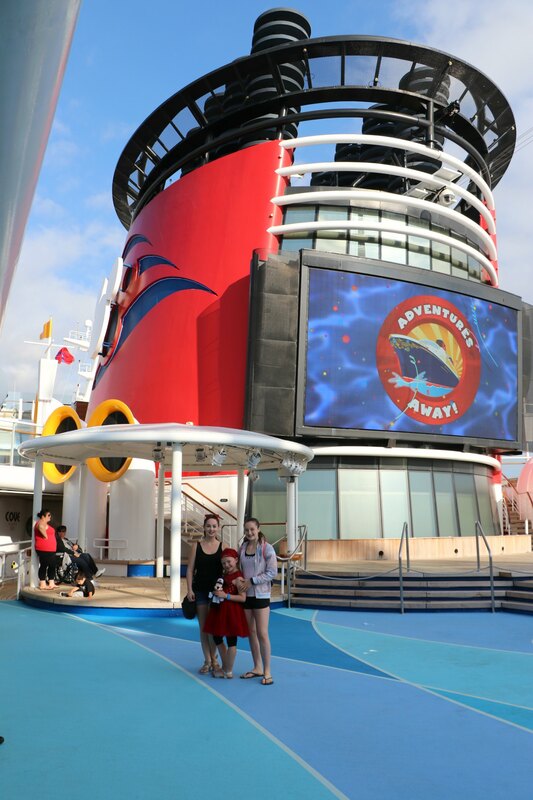 We love cruising, but have never been on a Disney ship, so after reading your post I’m going to have to check that out. What an amazing Disney vacation! I really love all your photos! So much fun!! Thanks for the tips, too! I’m loving all your fun pics! Looks like a great way to spend summer with the family! Look at all that fun!! I bet your girls were in heaven the whole time. We seriously need to venture out more next time we visit Walt Disney. Some day we’ll make it to Aulani. Did the cruise thing last year, Hawaii is next on our list! This is really great! This looks like it was a ton of fun. I love going on Disney Vacations that’s for sure. I didn’t know that Disney offered so many different vacation options. I have never been on a cruise before and would love to experience one.